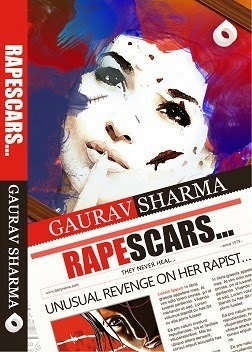 I thank Nimi Vashi of Readers Cosmos for this review copy. Special thanks to the author for his autographed message. 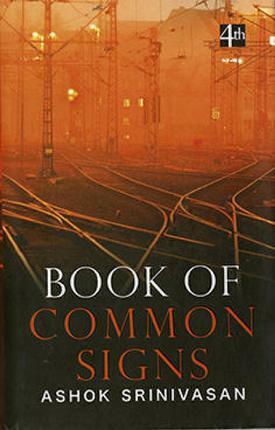 A political thriller about national ID numbers, power and greed. Orphan Harsh makes it to the billionaire club with a burning vision, sheer intellect and the blessings of his political Godfather. The favours must now be paid back through a huge Guru Dakshina. To honour his Master’s wish, Harsh, with the help of his fellow IITians, sets out to create a never-seen-before governance technology around the national ID numbers, that will change the face of democratic India. Everything is at stake: money, reputations, egos and morals. Even lives. Will they succumb to insatiable greed in the murky games of politics, backstabbing and subterfuge or will they be redeemed by the ‘Ten Commandments’ that once forged their ideals at college? If you thought that supreme technology and unalloyed power can bring lasting change or that e-governance and transparency can address the ills of our system, The Winner’s Curse will force you to think again. For what’s at stake is: YOU. The Winner’s Curse: the turbulent voyage of talent and intellect in the morass of turpitude. First Impression: For a seasoned reader, I shamelessly admit that I still give brownie points for a well designed cover and aptly worded book back blurb. In this day and age, the packaging and the promotion need to be done meticulously and eagerly – writing the book is half the battle, selling it is the other half. 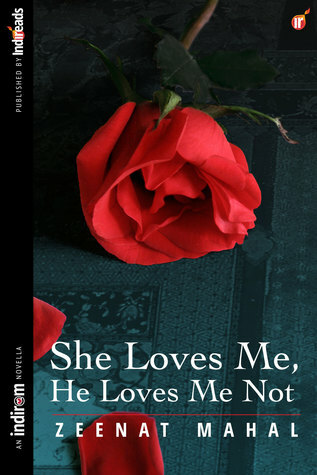 So good covers and blurbs make people pick your book from the thousands of other choices they have. I usually give points in excess for an aesthetically designed cover, the first impression. But the same generously given points will be reassessed and changed based on the relevance of the cover image to the content and the adherence of the plot to the summary. Thankfully, The Winner’s Curse manages to keep each and every single one of its well deserved marks for this. Not to mention too much about the plot, it includes everything that is given in the book blurb. And to manage all that within 300 pages, while introducing Ten Commandments and too many characters would have been a feat by itself. A political thriller should have enough elements to keep up the pace and add the intrigue factor, while making sure people relate to the characters. 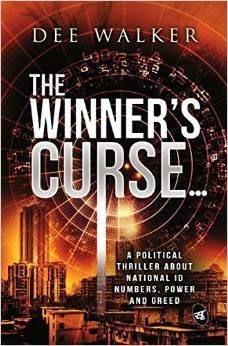 The Winner’s Curse sounds like exactly the title for a book where the lead character would pray a heavy price for finally achieving what he had always wanted – victory. And yes, I am not going to disappoint you by saying anything else. The book shows you what it means to be cursed – that hopeless curse of having everything you ever believed, you ever stood for being shattered right in front of your eyes. Harsh and the Master – and their introduction scene, wow! Well written, seamlessly executed political thrillers are rare, agreed. But politics and a mild suggestion of some undercover activities by seemingly genuine people would always elicit an interest in the reader’s mind – mostly because the maximum they can do is read about it, in newspapers, books, and TV news scrolls, without actually doing anything. This book banks on that aspect and manages to deliver all those ‘Masala’ elements in healthy sized doses. Maybe that is one point in its favour when it has to compete against many other books of its genre. The book manages to hold interest mainly due to its fast pace and a myriad of interesting characters that capture each reader’s attention in their own way. But the same in depth characterisation will be a bane and pace dampener for this book. No one likes to remember too many characters and simultaneous plot lines and most often than not, only seasoned readers can breeze through the book at a comfortable pace. General readers would have to keep going back pages to regain their equilibrium. The plot is racy, the story is different, though not unique, and the characters are developed well. Or rather, developed in too much detail, thereby bringing the narrative to a snail’s pace sometimes. It is actually best to leave certain aspects of a character to the reader’s imagination! Mr Dee Walker please do take note. Though I enjoyed reading this book very much, too much information dampens the pace. The incredible amount of research that has gone into the whole concept of ‘UID’ – and the excellent explanation as to how this is a weapon that has the most power in the hands of the person who wields it. If you have so far been ignorant, you would start looking at every single piece of data collection equipment (starting from the phones to the automatic teller machines) in a new light hereafter. If you are already paranoid, it will make you even more so. The process where they took not only your finger prints but also your iris (eye) scan when they gave you that card. Remember the most personal details about you stored in some impersonal computer somewhere. All everyone would need is the QR code that comes in your card to know your house address and your bank account details. It isn’t probable, but it is very much possible. The Ten Commandments ring so true and are apt for a peaceful life in modern days. The characterisation detail, though too high, will really help if the book gives way to some sequels or something in similar lines. Divvaakar, oh, my bad, Dee Walker has managed to turn every famous person/ corporation/ event into a ‘pun’. So the next time you see ‘Doodle’, forget that it is, in fact, a very much recognised, registered trademark of a famous company and instead substitute a few letters to shine ‘light in a new angle’ upon what it actually refers to. I burst out laughing (inappropriately, in a public transport, for that is when I was reading the first few pages of the book!) at this reference. ‘Coolmail’ anyone? Antonyms, probably. ‘CoolSMS’ would have done the trick! The detailed research, the story that does justice to its summary. Too many characters in short spans of time mean the characters don’t leave lasting impressions. And the puns. It would have been better to generalise than substitute each name with a easily recognisable pun. If political intrigue and the constant tug of war between good and evil is something you like reading about, give this book a try. SV Divaakar has written this book under the pseudonym Dee Walker. GENRE: Fiction / Romance/ Short Story. HOW I GOT THIS BOOK: The author contacted me via goodreads and sent me a review copy. Thank you, Zeenat! ‘Bad boy’ Akbar and ‘firebrand’ Khayyam were rivals and enemies back in college, while studying architecture. While he laughed at her feminist sentiments and views on preservation, she denounced him as a commercial sellout with no originality or talent. Humiliated in front of his admiring hangers-on, Akbar will not pass up the chance to get his revenge when fate presents Khayyam as his unlikely fiancée. Read this delightful story to discover what happens to these wildly different personalities when they reluctantly exchange rings. How long should my review be for a single short story of 20 pages? How best to phrase the review to reveal the simple elegance of the story and the writing without revealing too much of the story itself? How am I actually going to bring out the pluses and minuses of the story in a few short words, much like the author has brought out the features of her characters? 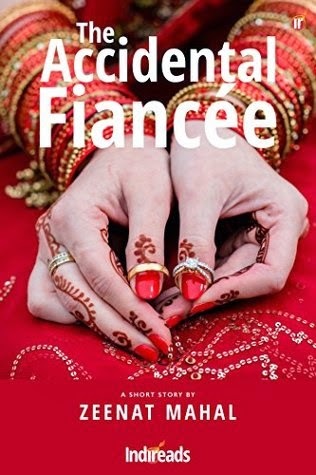 The Accidental Fiancee is a good read. In trademark Zeenat style, the story is about two people who are at loggerheads, and are accidentally brought together by fate. The reluctance of the main characters, the oblivious attempts of others around the lead characters and the well written story with in depth character development make this story a treat to read. 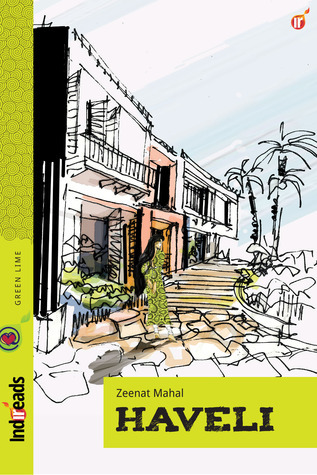 Zeenat has managed to give a decent and understandable character sketch with enough details to form an impression but with enough details hidden to create just the right amount of enigma and excitement. The basis of the story is simple enough but the magic lies in the development of the plain story line. On the lee side, if you skim across one paragraph almost near the end of the story, you will miss the whole plot line. Read every line fully, for the surprise reason behind firebrand Khayyam’s subdued manner is revealed in a veiled manner. WHAT I LIKED: The plot line and the character development. WHAT COULD HAVE BEEN BETTER: The way the reason is revealed could have had a bit more credibility. VERDICT: Go for it. It is short, sweet, romantic, and ends well! PRICE: Rs. 49 for Kindle Edition.